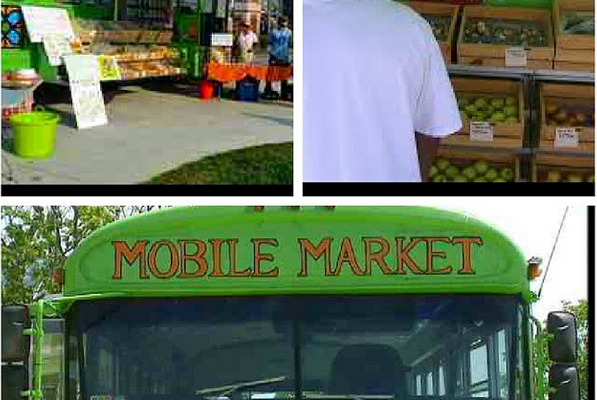 “I got Okra, I got Collards,” shouts New Orleans’ Mr. Okra, a roving produce store on wheels. Long Beach is ripe for a similar development of a mobile produce stand who picks up fresh local vegetables and fruits and deliver them to a dense network of restaurants and pop-up markets in Long Beach. 10/2/14 Kelli Johnson expressed interest in heading this project and asked us to call a meeting of those who’d expressed interest in this topic including Valerie Smith, Amy Eriksen and Bret O’Connor. 11/14/14 Met with Kelli Johnson, Valerie Smith and the California FreshWorks fund to explore innovation funding and loans for bringing healthy food access to food deserts in Long Beach.